Just a few notes by way of introduction: The first famous Romani man or Gypsy to join his country's football team was Rab Howell of England. The small center-half for Sheffield United (height 165 cm, weight 57 kg) first wore the famous uniform with the three lions on 9 March 1895 in a match between England and Scotland that was played at Derby. It was a victorious debut. The English won 9:0 and Howell scored a goal. He was always proud of his Romani heritage. By the way, the first Black player did not join the English national team until 83 years later (Viv Anderson in 1978). We hope you see where we are going with this. There is an enormous number of famous Roma football players. Many excellent football players today have no problem with voluntarily declaring their Romani origins. Christo Stoičkov, Gheorghe Hagi, Andrea Pirlo, Ricardo Quaresma and others are all Roma. Last year HATTRICK magazine decided to dedicate part of each issue to controversial topics, hot questions and scandals that other media often do not want to discuss or only touch on superficially. Whether we like it or not, in the Czech Republic the so-called "Roma question" is very explosive today. As far as football is concerned, I dare say that Roma players have enormous potential for it, just as they do for music, in which they most excel worldwide. Football has its own story to tell in this regard as well. I have seen many young Roma in the Czech Republic at the age of 10 or 13 – and the same has been said to me by friends who have trained youth for many years – whose talent equalled that of Cristiano Ronaldo. However, almost none of them ever turned up on any youth teams. Either their parents did not pay sufficient attention to them, or they paid much too much attention to officials and trainers, complaining to them, pressuring them too much, wasting their breath on every last thing. That doesn't work in football, it's a team sport. Trainers prefer to get rid of such talents. In music it's enough to play, play, and play some more, either sitting or standing, and the "bohemian" lifestyle of money and a bit of celebrity is never far away. In football, however, you have to work hard and apply lifestyle management and self-discipline to yourself. You have to see the bigger aim. You have to think about the man up in the sky box, pay attention to all of that. After that the money comes, usually much more than in music, as well as much more celebrity. That, too, makes it a little easier to declare one's Romani nationality. Portuguese player Ricardo Andrade Quaresma has never made any secret of the fact that he is Roma. His nickname is even "Gipsy". Now he is playing for the Al Ahly team in Dubai after a career playing for FC Barcelona, FC Porto, Inter Milan, Chelsea and Besiktas Istanbul. He has played 35 matches for his national team and scored three goals for them. During EURO 2008 he even scored one of those goals against the Czech Republic. Dani Güiza of Spain takes the same approach to his origins. This player helped his team to its final victory with two goals at EURO 2008. Now he is playing for the Turkish team Fenerbahce after a career with Mallorca, Huelva, Barcelona, Murcia and Getafe. Andrea Pirlo of Italy is the pacesetter for Juventus Turin and "the blue team" - he was world champion in 2006, a World Cup silver medalist in 2012, a two-time winner of the Champions' League with AC Milán, and is on his way to his 100th game with the national team. He too is not afraid he to say is an ethnic Roma and Sinti. The star of the French national side, Eric Cantona (already in "retirement" at the age of 46), was not only the darling of fans when he played for Auxerre, Marseille, Bordeaux, Montpellieru, Nimes, and Leeds United, but mainly when he played for Manchester United, where he became a legend. He also has no problem saying he is a Manouche (or French Roma). After ending his football career he became an actor and now has almost 20 film roles, including leading roles, behind him. If one counts his television roles, including documentaries and serials, then that number is almost 60. Bulgarian legend Christo Stoičkov (age 47), the holder of the European Golden Ball award in 1994, was a "bomber" for CSKA Sofia, FC Barcelona, Parma, All Nasr, Kashiwa Reysol or Chicago Fire and a trainer for the Bulgarian national team from 2004 to 2007. He is also proud of his origins. 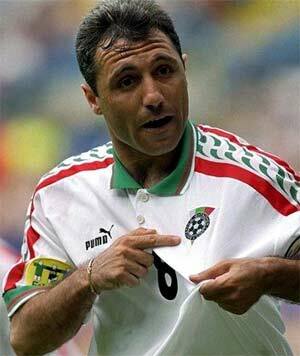 Gheorghe Hagi of Romania, the "Carpathian Maradona", is a three-time participant in the EURO and World Cup. He was the star of the national team (124 matches, 35 goals) and has worn the uniforms of Steau Bucharest, Real Madrid, Brescia, FC Barcelona and Galatasaray Istanbul before going on to become a trainer for the national team. That brings us to Josef Gabčo of Neratovice, Czech Republic. He turned 40 this year, just like Jan Koller, the most famous striker in the history of the Czech side. Gabčo, however, is still playing for the "B-team" Mělník. If he had made better use of his life and talent, he too could have had a pretentious villa in the Czech Republic, a flat in Monaco, a cottage in Arlberg, an apartment in Florida, a yacht in Cannes, Mercedes and Porsches in his garages, and enough money to last the rest of his life. He could have made hundreds of millions of crowns if he had been reasonable. As absurd as it might seem to some, Gabčo could easily have played with Koller in the striking position of the national team for these last 10 years. He also could have worn the uniforms of the big European clubs. He can't really be compared to Koller's unique playing style, but Gabčo has been a typical endgame striker with the kind of talent we haven't seen here since the days of Přáda or R. Kučera. He's a "shooter", a classic "ten", to use the words of those who have seen several generations of talent and who went to watch him during the training sessions of the Bohemians youth team and junior league matches. Gabčo had an excellent, well-built figure, plenty of strength, and won his one-on-one encounters with his chin up. He could shoot with both feet and his head, and the power of those shots was simply unheard of. He was extraordinarily fast. He scored many goals, but not one of them as a player in the Czech major league. Gabčo spent his career in Neratovice and nearby areas. The farthest he ever got was Chrudim. He tried playing on the youth teams of Bohemians, Česká Lípa, Blšany, Xaverov, Čížov, Hořín, and Ovčáry. but most of the trainers sent him back to Neratovice. Why? He was a troubled player. Even though he was popular everywhere he went, and was somewhat of a celebrity in Neratovice, he had no discipline off the pitch. To the Roma he was a god, to his fans he was a king, but he frequently missed trainings, loved alcohol more than water, preferred pork to chicken, gambled, partied, spent more money than Boeing, got into debt, perpetrated a few misdemeanors, got involved in some shakedowns, and eventually spent three and a half years in prison. No one ever managed to rein him in, to convince him he was destroying his own future, and he didn't understand that himself until it was too late. Now he is doing his best to morally make up for his wasted talent by increasing his own supervision of his 19-year-old son, who has great potential and is playing on the division team for Neratovice. If he had gotten his head together at 20, he would have played at the highest level, been hired by a foreign team, and worn the national uniform. On almost all parameters he was significantly better than Milan Baroš, who came up 10 years later and whom various encyclopedias classify as Roma, along with Pirlo, Hagi, Quaresma, the Serbian players Savičevič and Sinisa Mihajlovic, or the Swedish player Zlatan Ibrahimovic and others. Baroš has never made any comment about his own ethnic origin, which is his prerogative. Compared to Baroš, Gabčo was more impressive physically, used both feet, had better technique, was stronger at using his head, and was especially stronger at shooting from any distance with either his left or right foot. You should have seen him when he was 20. "Unfortunately, I did what I did. I paid no attention to any advice. If I had known then what I know now, I could have been playing for AC Milan. They all said that I was a footballer with a gift from God. I changed my ways, but too late. That's why I'm keeping my boy on a short leash today so he doesn't do something stupid," confesses Josef Gabčo, Sr. today. He has never made a secret of his Roma origin. Taken together, the top football players of Roma origin past and present would be enough for several elite world teams. However, they cannot have their own national team, even though there are roughly 10 million Roma in Europe (probably more). There are more Roma than there are Albanians, Austrians, Croatians, Montenegrins, Slovenians or Swiss, to say nothing of the inhabitants of Andorra, Lichtenstein, Luxembourg or San Marino. The reason is that they have never had their own shared territory or state. However, even on this "dream team" there would not be a single Roma player with a Czech passport, but not because there is not enough talent in our country among members of this ethnicity. Mainly they never make it to the top here, or if they do, they do not espouse their Roma origin. The cause of this is very simple. In the Czech Republic, the causes of the "Roma problem" are sought in the "gypsies" themselves, but the real problem lies in erroneous political solutions and the state administration. The process through which Romani children are enrolled into "special" primary schools and then are unemployable in adulthood means they must live off of welfare and the "error" of being uneducated and unqualified is ascribed to them. This is completely upside-down, and it turns them into aggrieved, opportunistic, second-class citizens. Their national pride is degenerated, along with their social standing, to the very edge of survival. This creates one big vicious circle. Educated, successful Roma people in our country prefer to sit on the sidelines, if possible. They do not espouse their origins or covet visibility. Other Roma curse them for basically becoming "gadje" (whites). The white community does not really accept them, and the Roma community repudiates them. This creates another vicious circle. For example, the crucial former boss of the now-defunct ROI (Roma Civic Initiative) party, JUDr. Emil Ščuka, today owns a network of high schools from which several thousand Romani students have already graduated. He is the head of an international music conservatory where even "gadje" from all over the world are studying. However, he defends his projects at all cost against any publicity. There are many other such examples. The Czech Republic is an exception in Europe as far as this goes. Evidently, few people in the Czech Republic know that there are between 250 000 - 300 000 Roma in this country, more than in France and twice as many as in Spain. There are Roma populations of half a million, more or less, in Hungary, Romania, Serbia, Slovakia and Turkey, while up to 800 000 are in Bulgaria. Those numbers should at least make politicians begin to consider Roma as potential voters. In the Czech Republic the Roma are déclassé, but they do comprise roughly 3.5 % of the vote (if they turn out). That could decide an election, but in this country it hasn't gotten them anywhere. In the USA that "volume" of votes is considered determinative. In general, the Roma national community is definitely not trying to belong among the groups that can be easily dismissed. In the Czech Republic, however, everything is upside-down. Here they are "just" a problem. In Spain (population 46 million) the voting power of Roma is less than 2 %, but politicians there take it more seriously. Juan de Dios Ramírez Heredia was the first Roma ever to serve as a Member of the European Parliament from 1994 – 1999. He then established the Unión Romaní, which in Spain is an influential political force. In Hungary (population 10 million) the Roma comprise roughly 4 % of the electorate. The first female Roma Member of the European Parliament in history was Viktória Bernáthné Mohácsi, and the second was Lívia Járóka. Both are from Hungary. Romani people in the Czech Republic often do not know how many ethnic branches the Roma nation basically has. There are Roma living from Cheb to the east and from Greece to northern Russia and the Kola peninsula. In Denmark, Germany, northern Italy and Switzerland there are Sinti, while there are Roma in the southern part of Italy. In Norway there are the Romanisael, while in Finland and Sweden there are the Finnish Kale ("the blacks"). In France there are the Manouche. In southern France, Portugal and Spain there are the Iberian Kale. In Great Britain there are the Romanichals and the Welsh Kale. The famous comedian Charles Chaplin was half Romanichal, as is two-time Oscar winning actor Michael Caine of England (he won in 1986 and 1999), his blonde hair notwithstanding. The famous British actor Bob Hoskins is Sinti. Elvis Presley, the greatest rock and roll star in the world, is said to have been of mixed Scotch-Irish, Native American, French Gypsy and Sinti, and "Black Dutch" (Chicanere or Melungeon) origin. From the religious point of view he is said to have been of Jewish origin as well. Be that as it may, this most successful guy in the history of pop music, who has sold more than a billion records, also has "gypsy" blood. One thing is essential: The ascription of "gypsy" origins to eminent world celebrities is nothing exceptional, but a part of the standard genealogical data of many extraordinary figures. Some of these are also partially Czech, German, Greek, French, Italian, Swedish, etc., as well as Creole, Eskimo, Native American or of other "mixed" origins. Today, Roma people in the Czech Republic are either aggressive with respect to the state or are ashamed of their origins. Something is not right with the picture here. Dán Schack August Steenberg Krogh, the winner of the Nobel Prize for medicine in 1920, was half-"gypsy". Washington Luís Perreira di Souza, a zoophysiologist who later became the President of Brazil from 1926-1930 declared his Calon Gypsy ethnicity. Juscelino Kubitschek de Oliveira was President of Brazil from 1956-1961; not only was his mother Roma, his grandfather (Jan Kubíček of Třeboň) was a Czech Roma. The famous American film actor Yul Brynner, also an Oscar winner, was half-Russian Roma on his mother's side (born in Vladivostock as Yules Borisovich Brynner). In 1977 he was named honorary president of the International Romani Union, a position he held until his death at age 65 in 1985. In addition to the many stars among the world's musicians, most of them stringed instrument players, we also find Roma artists, authors, historians, inventors (especially in the service of England), journalists, politicians and singers. There are also some very curious figures in the history of the ethnic Roma, such as Cécilia María Sara Isabel Ciganer-Albéniz (whose father, the Jewish-Moldavian Rom Aron Chouganov took the name André Ciganer) who was the First Lady of France for five months. She was married to French President Nicolas Sarkozy, himself of Hungarian origin, before he divorced her and married the world-famous model and singer, Carla Bruni. Returning to football: Roma players could put together several teams that would be undefeatable. We have to look at this through the lens of the last 20 years, when marketing, enormous contracts and salaries became the deciding parameters for the top of the football business. Of course, that means we would leave out "prehistoric" cases such as Rab (Rabbi) Howell. 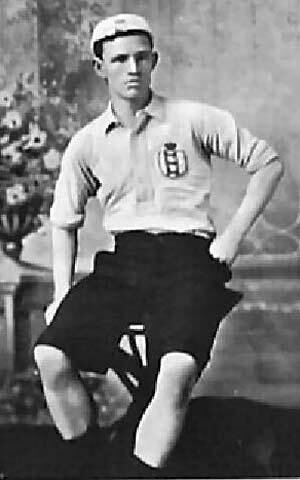 The "little Gipsy" was sold after 192 matches for Sheffield United in 1898 to FC Liverpool for 200 pounds and ended his career in Preston North End in 1903 at the age of 34 with a leg fracture. André Pierre Gignac (France, age 27): 16 matches/4 goals for France, now plays for Olympique Marseille, previously for Lorient and Toulouse. Dani Güiza (Spain, age 32): 21/6 for Spain, European Championship 2008, now plays for Getafe, previously for Xerez, Mallorca, Huelva, Barcelona, Murcia, Getafe, Mallorca again, Fenerbahce Istanbul, and then Getafe. Christo Stoičkov (Bulgaria, age 47), 83/37 for Bulgaria, played for CSKA Sofia, FC Barcelona, FC Parma, All Nassr, Kashiwa Reysol, Chicago Fire, D.C. United. Now a trainer (currently for Litex Loveč). Alyosha Asanovich (Croatia, age 47), 3/0 for Yugoslavia, 62/3 for Croaita, played for Hajduk Split, FC Méty, AS Cannes, Montpellier HSC, Valladolid, Derby County, SSC Neapol, Panathinaikos Athens, Austria Wien, Sydney United, returned to Hajduk Split, and is now a trainer, currently for Lokomotiv Moskva. Eric Cantona (France, age 46), 45/20 for France, played for Auxerre, Martigues, Bordeaux, Montpellier, Nimes, Leeds United, Manchester United, winner of the French League in 1988/89 and 1990/91, the French Cup 1989/90 (with Marseille), the English Premier League (1993–94, 1995–96, 1996–97), the FA Cup 1993–94, 1995–96 and the Charity Shield (1993, 1994, 1996) with Manchester United. Tony Vairelles (France, age 39), 8/1 for France, currently plays for FC Guegnon, previously for Nancy, Lens, Lyon, Bordeaux, Bastia, Lens, Rennes, Bastia, Lierse, Tours, Bastia, Dudelange; his brother David (France, age 35) is with FC Guegnon and previously played with Nancy, Beuvais, Troyes, Amiens. Jacques Abardonado (France, age 34), currently plays for Frejus/Saint Raphaël, previously with Marseille, Lorient, Nice, Norimberk, Valenciennes, Grenoble. Christos Patsazoglou (Greece, age 34), 45/1 for Greece, currently plays for PAS Jannina, previously with Škoda Xanthi, Olympiakos Pireus, Omonia Nicosia, AEK Athens. Ricardo Andrade Quaresma (Portugal, age 29), 35/3 Portugal, plays now for Besiktas Istanbul/and as a guest player for Al Ahly, Dubai, previously with Sporting Lisabon, FC Barcelona, FC Porto, Inter Milan, Chelsea. Gheorghe Hagi (Romania, age 48), 124/35 for Romania, now a trainer, last engagement with Galatasaray Istanbul in 2011, previously a coach for Romania, Bursaspora, Galatasaray, Timisoara, Steau Bucharest, played for Farul Constanta, Sportul Studencesc, Steaua Bucharest, Real Madrid, Brescia, FC Barcelona, Galatasaray (ended his career in 2001 – 132/59). He is the most successful footballer of all time in Romania. Ilie Dumitrescu (Romania, age 44), 62/20 for Romania, now a gallery owner and trainer, last coached Steau Bucharest in 2010, played for Steau Bucharest, Tottenham Hotspur, FC Sevilla, West Ham United, América (Mexico), Atlante (Mexico), and Steau Bucharest. Banel Nicolita (Romania, age 28), 34/1 for Romania, now plays for Saint-Etienne (France), previously for Steau Bucharest. Marius Lacatus (Romania, age 48), 84/13 for Romania, last a trainer for the Tirgu Mures team, last played for Brasov, Steau Bucharest, FC Fiorentina, Real Oviedo, again for Steau, ended at National Bucharest in 2000. He was worked as a trainer four times for Steau and for National, Panama, Romania, Otelul Galati, Brasov, Piatra Neamt, Arad, Vaslui. Dejan Savičevič (Serbia, age 46), 56/19 for Yugoslavia, played for Titograd, for CZ Bělehrad, AC Milán, Rapid Wien, trainer of the Serbian and Montenegrin team from 2001-2003. Since 2009 he has been chair of the Football Association of Montenegro. Before the country separated from Serbia he was the country chair as of 2004. Sinisa Mihajlovic (Serbia, age 44), 63/9 for Yugoslavia, trainer for the Serbian side since 2012, played for NK Borovo, Vojvodina Novi Sad, CZ Bělehrad, AS Řím, Sampdoria Janov, Lazio Roma, Inter Milan (where he ended his career as a player in 2006). Prior to taking the job of trainer for Serbia, he was an assistant coach at Inter Milan, and coached for Bologna, Catania and Fioretina. Zlatan Ibrahimovic (Sweden, age 31), plays for Paris Saint-Germain, 87/39 for Sweden, a player of Bosnian-Croatian and Romani origin born in Malmö, with Romani roots on the side of his Catholic mother. His father is a Bosnian Muslim. Before coming to Paris he played for Malmö FF, Ajax Amsterdam, Juventus Turín, Inter Milan, FC Barcelona, and AC Milan. He is considered the second best-paid player in the world after Lionel Messim (Argentina/FC Barcelona). Andrea Pirlo (Italy, age 33), 95/11 for Italy, plays for Juventus Turin, captain of the Italian national team, previously played for Brescia, Inter Milan, Reggino, and AC Milan, from which he joined Juventus after 10 years of brilliant work during which he won the Championship League twice (in 2003 and 2007) and the finals once. World Champion 2006, finalist in the European Championship 2012, Champion of Europe under age 21 in the year 2000, bronze medalist in the 2004 Olympic gaines, and winner of the Confederation Cup (2009). He won the Italian A Series three times, the European SuperCup twice, and the World Championship of clubs once in 2007 with AC Milan. He is considered the best halfback in the world. His nickname is the "the architect" for his ability to shape the way his team plays. There are hundreds of Roma football players competing at the highest levels in Bulgaria, Greece, France, Italy, Portugal, Romania, Spain, Turkey and other countries. What's going wrong in the Czech Republic? This article was originally published in the April edition of the magazine HATTRICK. Reprinted with the consent of the author and the publisher.